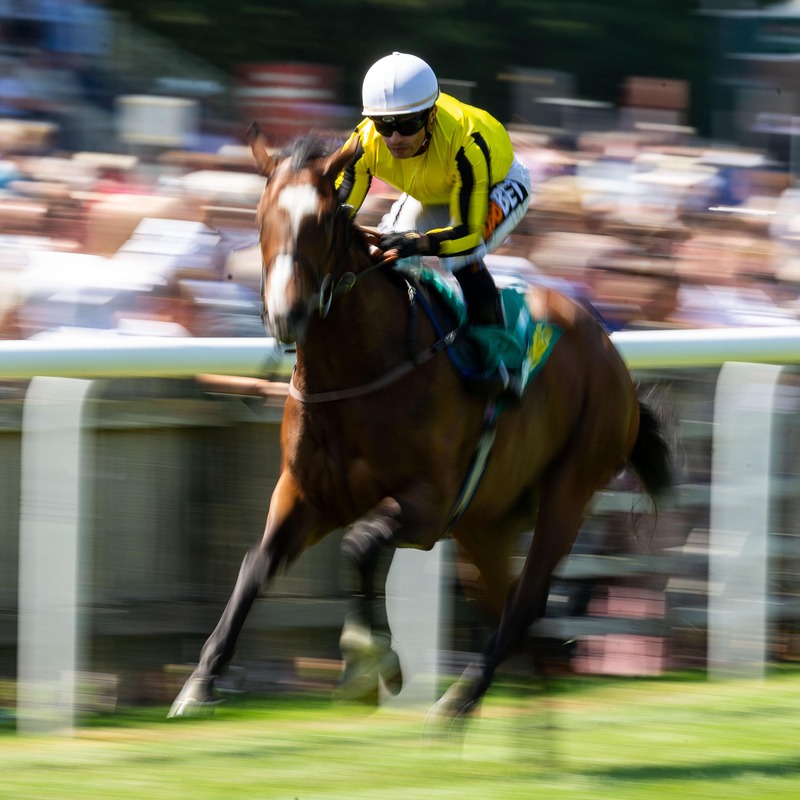 Michael Bell is hopeful Pretty Pollyanna get can get back on the winning trail in the bet365 Fillies’ Mile at Newmarket. The daughter of Oasis Dream was a brilliant winner of the Duchess of Cambridge Stakes on the July Course three months ago and a follow-up victory in the Prix Morny at Deauville confirmed her place as ante-post favourite for next season’s 1000 Guineas. However, her reputation took a knock when she could only finish fourth as a warm order for the Cheveley Park Stakes on the Rowley Mile under a fortnight ago and she steps up to a mile for the first time on Friday. Danny Tudhope takes over in the saddle from soon-to-be three-times champion jockey Silvestre de Sousa. Bell said: “We’re very happy with her well-being. She’s had a relatively easy time since the Cheveley Park, but Danny came and sat on her on Saturday during a couple of canters up Warren Hill and he was very happy. “We think she should stay seven furlongs, but we are going into uncharted territory over the mile. Antonia De Vega puts her unbeaten record on the line for Ralph Beckett and Harry Bentley. The youngster impressed on her July Course debut during the summer and was last seen landing the Group Three Prestige Stakes at Goodwood. “She’s in good form and we’re looking forward to running her,” said Beckett. “She’s had no problems since Goodwood. It was always the plan to bring her straight for this race. That’s what we set out to do and I’m pleased we’re getting there. Aidan O’Brien is double-handed as he chases a joint-record sixth Fillies’ Mile victory. O’Brien said of Hermosa: “Obviously she only ran in Naas the other day, but we’ve been happy with her since. He added of Zagitova: “She’s been in good form since the Moyglare and we were very happy with her run there. Charlie Appleby’s Beyond Reason was well fancied for the Moyglare following successive Group-race wins in France, but could only finish sixth. Appleby said: “Beyond Reason will be back on a sound surface in the Fillies’ Mile and I think the step up to a mile will suit her. “As a proven Group Two winner she was a little disappointing in Ireland last time, but William (Buick) said the ground was riding dead and felt she wasn’t very comfortable on it. John Gosden’s dual winner Shambolic and the Sir Michael Stoute-trained Layaleena complete the eight-strong field.